New York, New York! Launch Your Personal Shopper Career in the World’s Fashion Capital! There’s no better place to train to become a personal shopper and personal stylist than in New York with the Sterling Style Academy! Each year, we offer three in-depth, hands-on training opportunities to study to become a personal shopper and to launch your own personal style and fashion consultation business. Establish a professional network of elite fashion enthusiasts from around the globe while you hone your talents for style in New York. The Sterling Style Academy regards the Morgan’s Hotel on Madison Avenue our home when we train aspiring personal shoppers and personal stylists to master the elements and principles of image, fashion and style. You’ll learn how to select the appropriate colors, silhouettes, textures and patterns to meet the style needs of your clients in the contemporary setting of the Morgans Hotel with fellow aspiring personal shoppers and personal stylists from around the globe. Once you’ve mastered the science behind fashion and style, you will experience the practical application of conducting personal style evaluations, wardrobe clustering, personal shopping sessions, and working hands-on with a variety of internationally recognized fashion collections. After you’ve practiced your newly mastered styling skills on other members of the class, the Sterling Style Academy brings in actual personal shopping clients so students may work directly with real people in need of real wardrobe and image solutions. The hands on, industry training we offer at the Sterling Style Academy provides you with the best real world experience prior to providing real solutions for real people. To be a well-rounded personal stylist it is important to have some product knowledge of skin care and make up. Therefore the Sterling Style Academy partners with Dior Make Up providing you with a Master Class in make up application conducted by Dior Make Up Artists. Our students are also trained to conduct wardrobe and closet consultations by working with an actual designer wardrobe in need of professional assistance so you can master closet organization principles and the secrets to creating a well-functioning wardrobe for which your personal styling clients will pay top dollar. To conclude the class, students learn how to create wardrobe lookbooks tailored to each client as an additional service you may offer in your personal styling and personal shopping service arsenal. The Sterling Style Academy trains fashion enthusiasts to become certified personal stylists 3 times a year in New York. Each training session offers different benefits allowing you to select the best personal stylist and personal shopper training option for you. 1) The 2.5 Week Personal Shopper Certification Course: April 4 – 20, 2011. Registration closes on February 21. Tuition $7497USD. 2) The 4 Week Personal Shopper Certification Course: August 1 – 26, 2011. Registration closes on June 20. Tuition $8997USD. CLICK HERE to see what our New York graduates have to say about us and experience first-hand what it’s like to be part of the Sterling Style Academy. At the Sterling Style Academy, we offer all of these hands on personal shopper training experiences, plus our unparalleled training workbooks and DVDs that are yours to keep with your investment in one of our personal stylist and personal shopper training courses. Along with all of these training tools, we still consider the strongest part of your personal style and personal shopper training at the Sterling Style Academy to be the diverse group of students you’ll train with from around the globe. 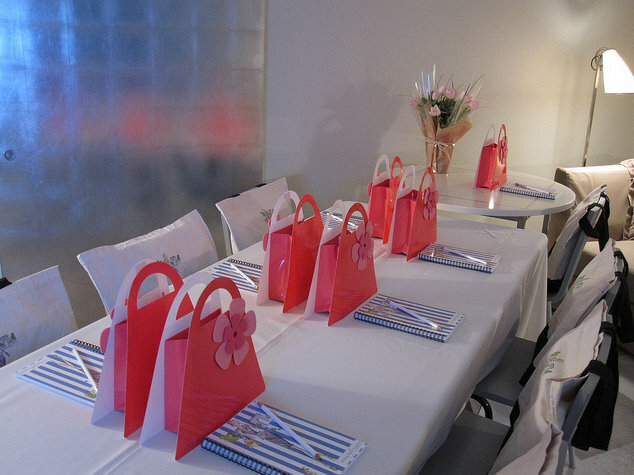 Each personal shopper training course is attended by students of all ages, ethnicities, and professional backgrounds. Our Certified Personal Shopper Graduates have gone on to become personal style consultant pioneers in their own countries including Japan, Mexico, Brazil, Russia, the UK, Turkey, Trinidad, Nigeria, Egypt, the United Arab Emirates, India, Canada, and more. We’ve trained over 200 hundred students from more than 20 countries to launch their own personal shopping business and we look forward to helping you launch the fashion career of your dreams in 2011! Contact the Sterling Style Academy directly to learn which training program or short personal stylist eCourse is right for your career goals and will best suit your needs. Jump start your image consulting business with our Sales, Marketing and Business Brand Identity Launch Kit. Many students frequently come to the first day of image consultant training asking how will I get clients and how do I market myself. This resource will help you position yourself as an expert which will result in attracting clients. If you are serious about starting an image consulting business and would like would like to build the foundation for growing a sustainable business, we recommend taking advantage of the Sales, Marketing and Business Brand Identity Launch Kit Special Offer to incoming students at the introductory investment of US$597 plus shipping and handling. The Sterling Style Academy trains and certifies prospective and aspiring image consultants, personal stylists, and personal shoppers to pursue the career of their dreams. With 10 annual training courses held throughout the year in New York, London, Dubai, Hong Kong, Sydney, Miami, Las Vegas, and San Francisco, as well as Online Training, Teleclasses, and Short eCourses, the Sterling Style Academy prepares you to become a top notch pioneer in the image consulting, personal shopping, and personal styling industry. Master the art of image, fashion and style to become a fashion styling expert. Contact the Sterling Style Academy today to learn how we can help you start a career you are passionate about – shopping and styling! Like us or become our friend on Facebook.